SWIMMERS will be indefinitely warned against entering the waters of Cid Harbour amid fears of the constant stream of dangerous sharks in the area. 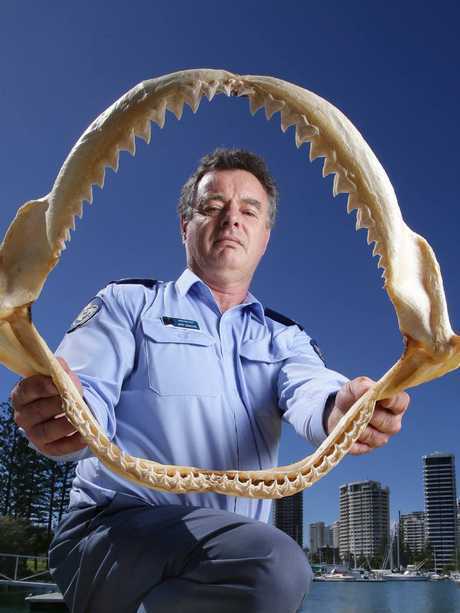 The manager of the state's shark control program Jeff Krause has defended his team's decision to advise the State Government against the use of drumlines in the area, saying they would not be able to stop all the sharks that enter the harbour. Speaking to News Queensland, Mr Krause said instead a proposal would be put forward at today's shark roundtable meeting for an education campaign to make Queenslanders "shark wise". He said at this stage, warnings against swimming in Cid Harbour would remain in place indefinitely. "By deploying drumlines, yes we will catch a number of sharks but we won't catch them all," he said. "There's obviously a large population of sharks in that area and the feeling is that you catch one, (another) one is going to take its place." Mr Krause said they were made aware of the considerable number of dangerous sharks in the harbour after drumlines were temporarily deployed in the wake of the September attacks. The education program to be proposed at today's meeting would mirror the Government's existing "crocwise" program and encourage Queenslanders and tourists to keep away from the water at dusk and dawn. Boaties would also be warned against throwing their food scraps off the sides of their vessels - a key problem which is believed to have contributed to the high number of sharks in Cid Harbour. Mr Krause said the campaign would urge swimmers to avoid anchorages and murky water. 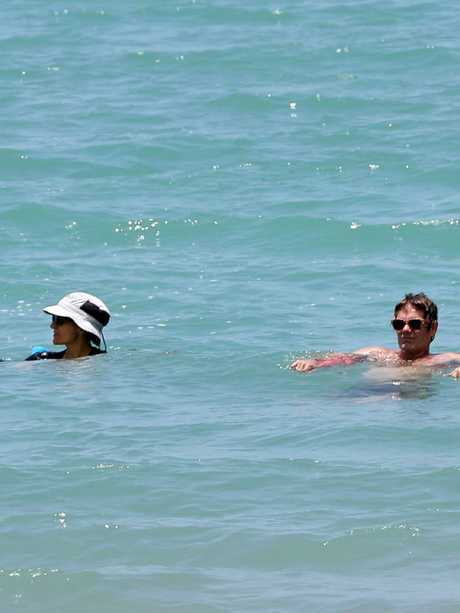 "This is also extended to canals and rivers and estuaries where we always have advised people not to swim in those because there are populations of dangerous sharks in those waterways," Mr Krause said. The advice is expected to be made available to tourism and charter boat operators statewide and across government agencies. Queensland Tourism Industry Council CEO Daniel Gschwind and experts from several universities will be among 18 stakeholders who will attend today's roundtable meeting in the Whitsundays. THE State Government has been accused of hatching a secret plan to replace drumlines with non-lethal shark-control alternatives in response to submissions from green groups. Opposition Leader Deb Frecklington yesterday accused Labor of quietly planning to get rid of drumlines, after minutes of a meeting of the Queensland Shark Control Program scientific working group revealed the Government had left the door open to replacing them. The minutes - from a meeting last year - detail both the Government and the working group's responses to submissions relating to drumlines in the Great Barrier Reef Marine Park, including one from the North Queensland Conservation Council recommending the drumlines be "phased out within five years". The meeting minutes show that while the Government did not indicate its support for the plan, it did respond that a "formal assessment of alternative technologies may be considered by the scientific working group". "I once again repeat my call for drumlines to be immediately installed at Cid Harbour and demand a full parliamentary inquiry into Labor's maladministration of Queens-land's shark-control program," Ms Frecklington said, insisting any plan to phase out drumlines would be "almost criminal". 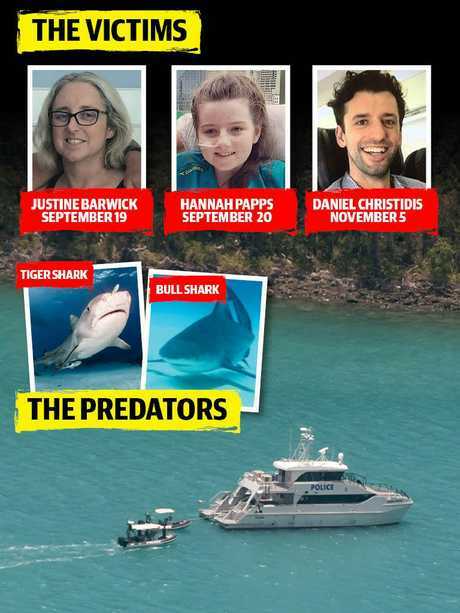 The LNP leader also took aim at the working group after it was revealed a meeting that had been planned for around the time of the first two Cid Harbour shark attacks in September did not go ahead because the group could not agree on a time that suited all members. Both Fisheries Minister Mark Furner and Shark Control Program manager Jeff Krause - who sits on the working group - yesterday insisted the drumlines were not being phased out. "The shark-control program is very effective and proven to be very effective over the years, and there's no hint or discussion about reducing the type of apparatus we use," Mr Krause said. But he said the group was monitoring non-lethal alternatives such as those in NSW. "There is I believe a report due next year from that (NSW trial) and we will be very eager to see what's written in that report about those different technologies," he said. Mr Krause also defended the lack of a group meeting being held in September or October, insisting the working group had been in constant contact and would be meeting next Wednesday. Mr Furner said the Government had "no plans" to phase out the use of drumlines in Queensland. "Our department monitors the development of new technologies in other states, however we will not compromise on swimmer safety," he said. DISASTERS around Airlie Beach, including Monday's fatal shark attack, have business operators on edge. Three attacks in Cid Harbour since September are just the latest disasters after fires, cyclones and drownings have struck the Whitsundays. 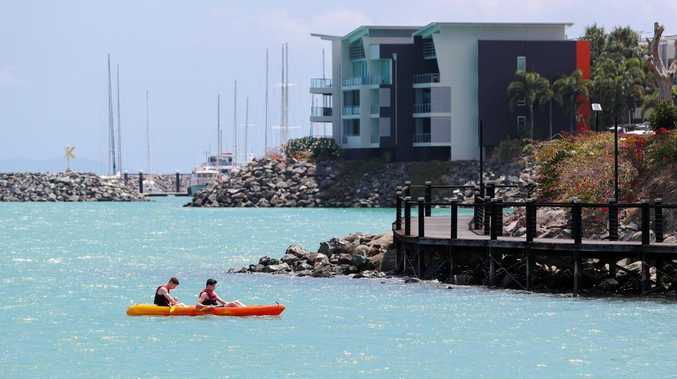 Resort manager Sharon Dewsbury said every time Airlie Beach started to recover, "something happens". "Airlie's had a rough time for a long time and it's very sad," she said. She believes the attacks will take a toll on the local economy but she is torn between saving the environment and protecting tourists. "My husband thinks they should all be culled but I think we have to be respectful - it's their environment," she said. As news of the attacks spread, tourists are taking note. One business owner, fresh from an international sailing event, said the attacks were on everyone's lips. "Everybody asked me about the shark attacks, I didn't have to bring it up," she said. "I think we've got a very big problem." The Jungle Trader's Ivan Pratt "absolutely" thinks there will be an impact. "We are absolutely gobsmacked that it does have an impact but it does - they run a mile," he said. "Every little thing has an effect." 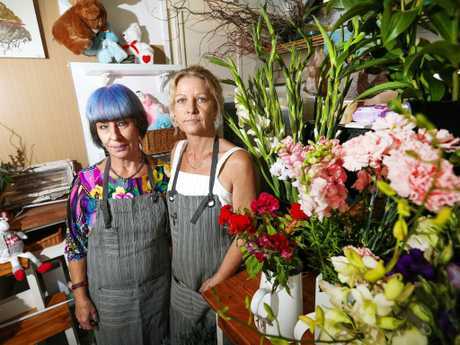 Florist Su Desmond of Karen Hill Floral Design agreed tourism would suffer as everyone talked about sharks. 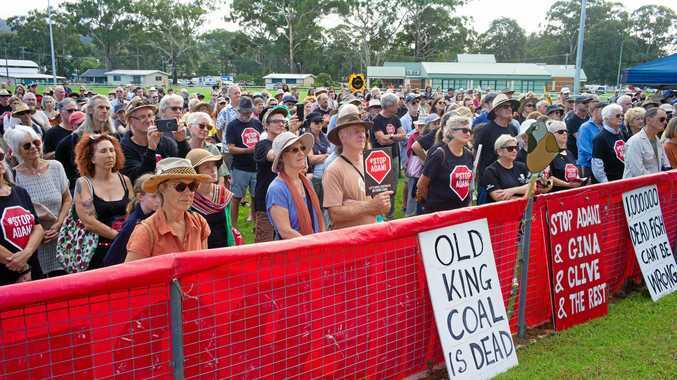 "It's in the heads of locals, it's definitely going to be in the heads of tourists," she said. "It's a good thing we don't have vultures, lions and elephants in this town." Businesswoman Stacey Harvey was more upbeat, doubting there would be a downturn, but she questioned the response by authorities. "I would have liked to have seen Cid Harbour closed after the first one and probably definitely the second one, like they do with beaches after a shark attack," she said. "I guess it wasn't thought of because to have one attack was so freaky … a complete anomaly." One business owner said Cid Harbour was a "tuckshop for sharks" due to fish and charter boat operators throwing their scraps in the water.